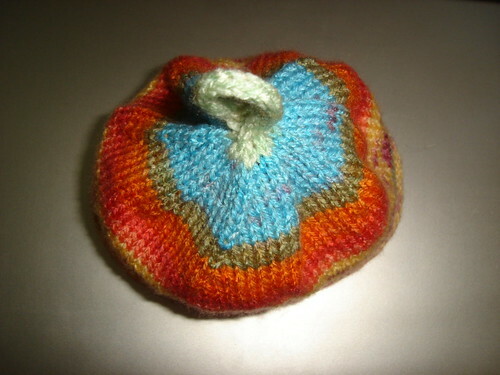 Flush with the success of knitting up my very first handspun. 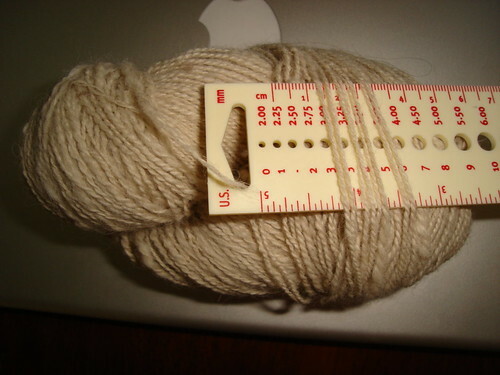 I decide to tackle knitting up my very first navajo plied yarn. 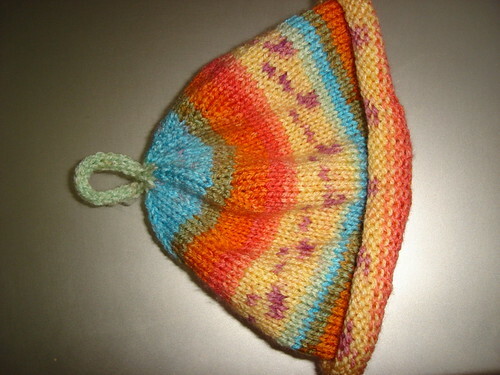 This is a hat for my Father-in-law. The rustic brown is the first ever wheel spun (I n-plied what was left over from one bobin) and the red is the third ever wheel spun. 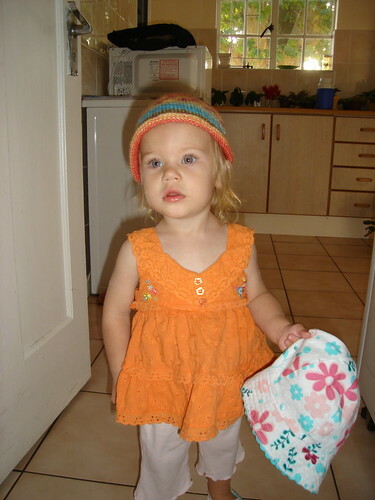 To prove that it’s not a hat for a giant this time, I’m including a shot of Gorgeous Girl modelling the hat for me. (She’s getting a haircut this week). 1 pair of fingerless gloves, two scarves and a shawl for me, plus a hat for Gorgeous Girl to match the cardigan I made her last year. 86 days until we leave – I think I can do it. 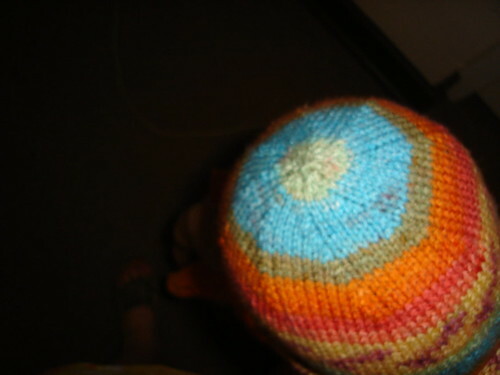 There are three baby hats there for friends of Gorgeous Man. Seems his friends are having a bit of a baby boom this year 😉 and two for Gorgeous Girl. 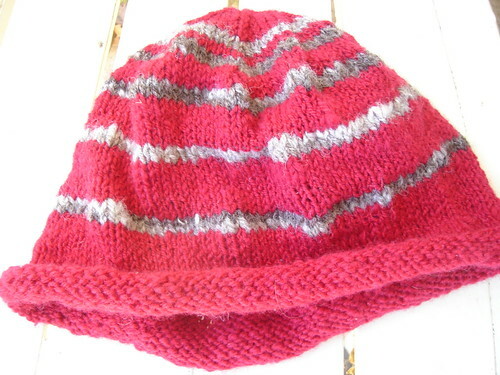 The yarn is Elle Escapade in the roller coaster colourway and the pattern is based on Handle. 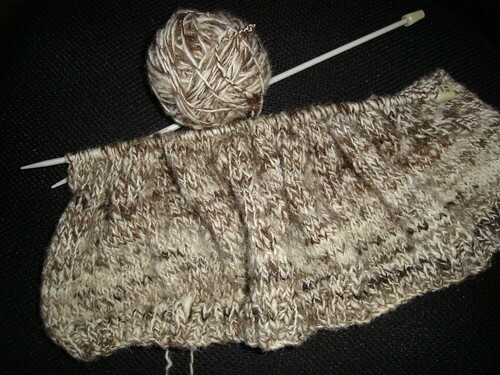 I’ve started knitting up my first homespun. 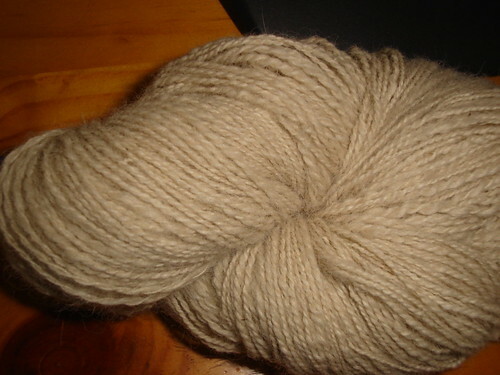 The very first yarn that came off the wheel. It’s fun, and it’s even acting like real yarn! But I can’t decide if it’s wonderfully rustic or if I am in fact knitting carpet. Gorgeous Man gets the “Gee-I-dodged-a-bullet-I’m-so-glad-she-isn’t-making-that-for-me” look on his face whenever I work on it. 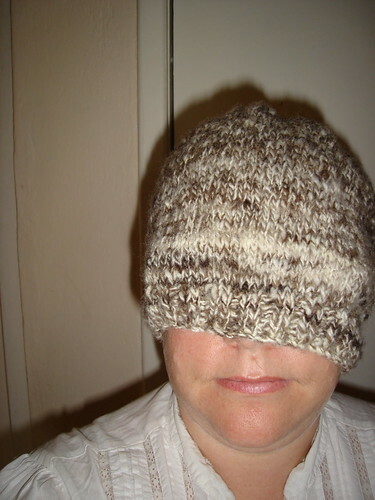 It’s going to be a beanie for my step-father-in-law. 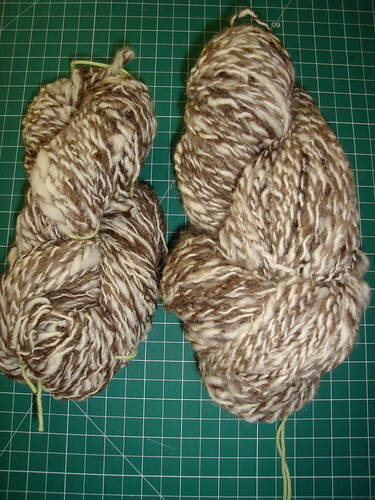 I have to admit that the yarn is a little scratchy and I’m pinning my hopes on a good soak in wool wash. So, let me know, rustic or carpet? In other news (because nothing is simple here) after great wailing, gnashing of teeth and several phonecalls to banks and online booking services we finally have our plane tickets booked and confirmed. Did I mention that I’m looking forward to visiting home? 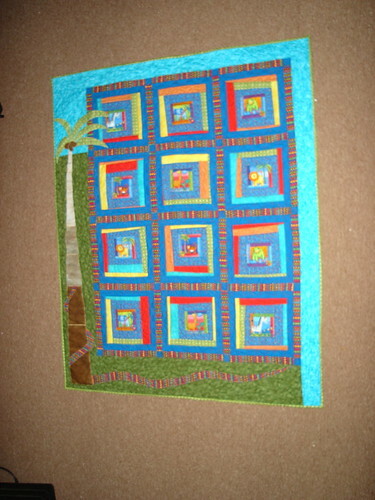 And the winner of the my giveaway for the quilt pattern was Kristie of Cowgirl Quilter. If you haven’t seen her blog before you really should check it out. I love reading about her life on a farm and seeing her amazing quilts. 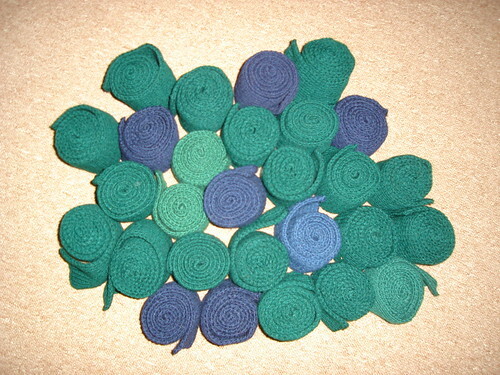 Congrats Kristie, leave me a comment and we’ll sort out a postal address for getting your pattern to you. 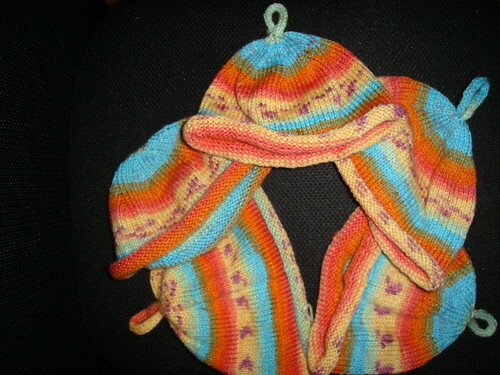 Almost as exciting as that, I’ve finally finished the baby gift knitting (as well as two extra hats for Gorgeous Girl). 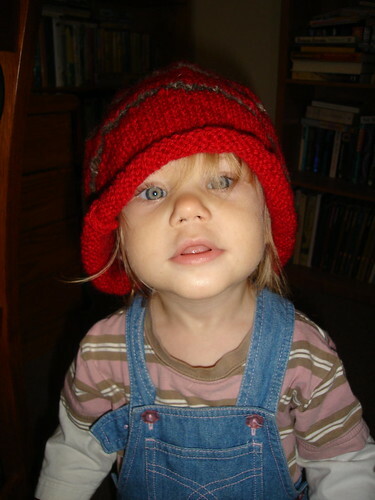 Pictures of them when I’ve had a chance to take them.